This Easter, visitors to Weymouth Sea Life will be able to take part in an exciting all new, deep sea adventure featuring the Octonauts. Young explorers can join Captain Barnacles, Peso, Dashi, Shellington, Professor Inkling, Tweak, Kwazi and Tunip and go on a thrilling quest to uncover the secrets of the ocean's most jaw dropping predators. Elliot's favourite library book is about sharks so understandably he was quite excited about this and was very keen to visit and go on the Shark Mission himself. 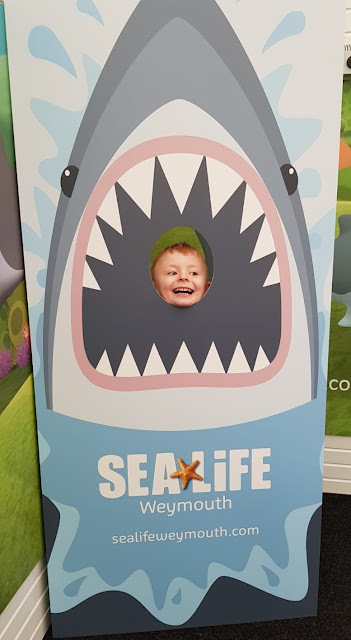 He was even more excited when he discovered he was the very first person to do it at Weymouth Sea Life! 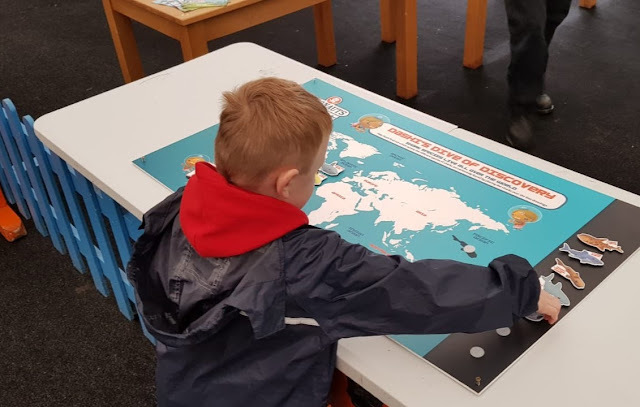 There's lots to do in the dedicated Octonauts area - visitors can help the crew solve the mind bending puzzles of the mystery tanks and find out which sharks live to be 400 years old, which sharks can smell a single drop of blood in an Olympic size swimming pool and why some sharks have skin as rough as sandpaper. You can visit Professor Inkling's colour lab, take a special dive of discovery with Dashi and follow instructions from Captain Barnacles to make a shark puppet. Hidden around the park are special Octonauts clues which feature a letter - jot these down on your mission notes, once you have all the clues you will be able to read the name of a fearsome creature. 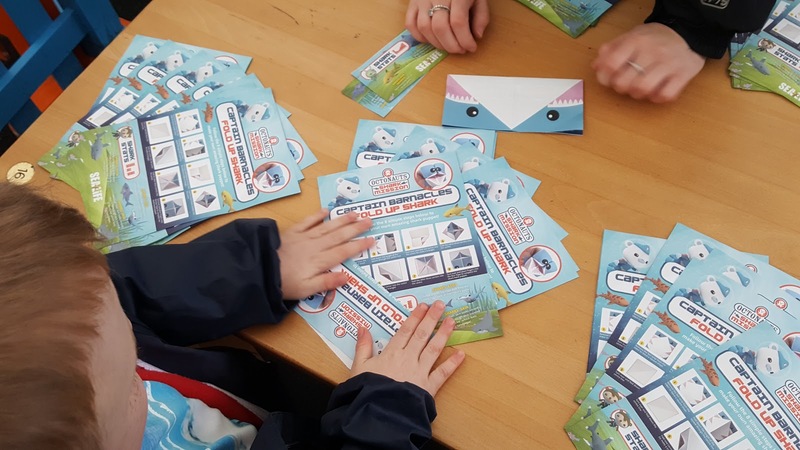 Young explorers who complete the mission will get a personalised certificate signed by Captain Barnacles plus a Shark Mission pop badge. Elliot loves the pop badges and was thrilled to bits to be given a Rockpool Ranger one by a member of staff! 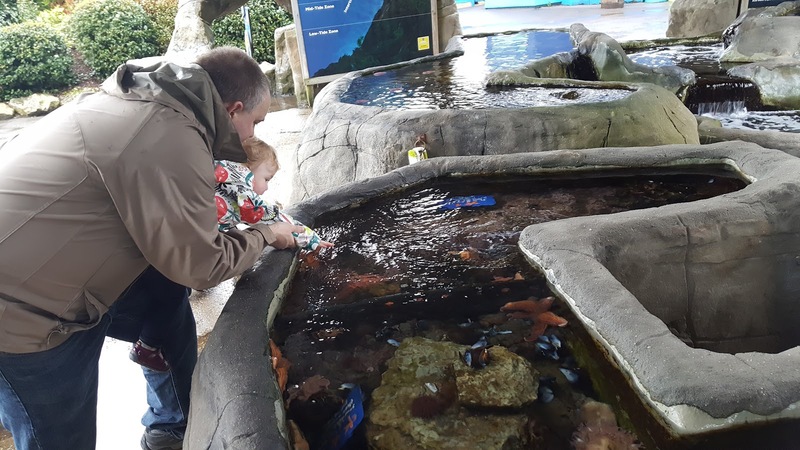 Our Sea Life highlights are the rock pools and the walkthrough tunnel and we always spend lots of time here. Elliot loves touching the starfish and never hesitates to plunge his arm in the water..even though it was freezing on this particular visit! As Erin gets older she is getting more interested in her surroundings on days out and she also enjoyed looking at the starfish in the rockpools.